For those wondering why budgets and funds disbursed for the execution of minor and major contracts geared towards the empowerment of youths as well as for the development of the Niger Delta region are always over bloated and unreasonable, SecretReporters can authoritatively report that this is because these contracts are being lobbied for and sold to the highest bidder who in other to make profit either decline carrying out the contract or use low-quality materials and approach in executing them. 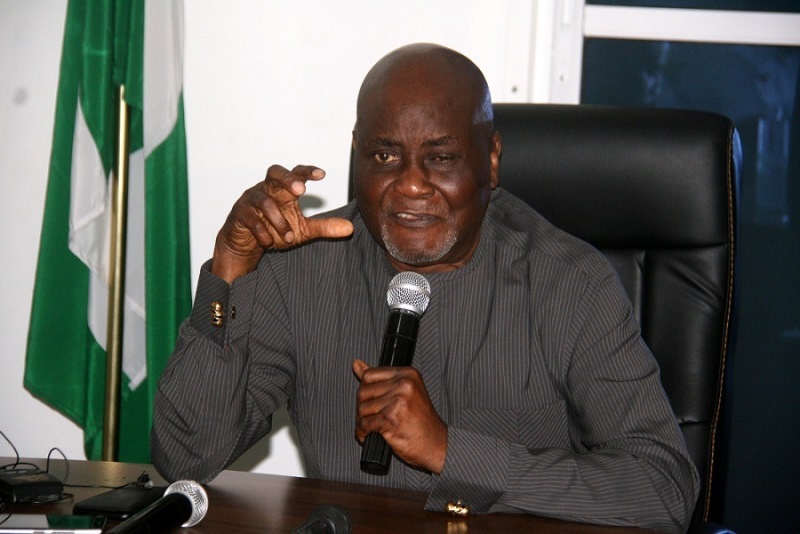 Documents in possession of this online news medium reveal that the Amnesty boss Prof. Charles Quaker Dokubo in collaboration with his evil geniuses showing no signs of repentance from their nefarious activities in the commission allegedly pads the budget meant for execution of each contract to be carried out in the Niger Delta. In one fell swoop, Mr Dokubo awarded same contract for same amount to three different companies, without bidding processes or advertisement seen in national dailies. A typical example is a contract awarded to Messrs, Northwing Nigeria Limited at a whopping sum of N96,000,000,00 (Ninety-Six Million Naira) for the empowerment of just twenty-four (24) Niger Delta Youth in Commodity shop business for a duration of one (1) month. The document for the contract which was dated 22nd, November 2018 with reference number PRO/SAP&CAP/NORT/2018/1760/III/C.2060 and signed by the coordinator of the presidential amnesty programme was heavily padded and sold to the aforementioned company after allegedly paying heavily for it as kickbacks to the Amnesty boss. Similarly, as though on a mission to become the richest man on the planet, it was also gathered that on the same day the light-fingered amnesty boss signed another contract with reference number PRO/SAP&CAP/EWUN/2018/1868/III/C. 2068 for the empowerment of twenty-four (24) Niger Delta Youths for the same purpose of shop business to Messrs, Ewunubari Nigeria Limited at an over-bloated sum of N96,000,000(Ninety-Six Million Naira) being the highest bidder. Another contract with reference number PRO/SAP&CAP/ESTA/2018/1732/III/C. 2032 was also awarded on the same day for the same empowerment of twenty-four (24) Niger Delta Youths in shop business and the at the same amount of N96,000,000 (Ninety-Six Million Naira) but this time with a conflicting address of No. 2 Buchanan Crescent, Wuse 2, Abuja which does not tally with that found on the Corporate Affairs Commission website bearing No 1, Magarza Close, Mabushi Abuja. The contract we learnt was finally sold to Messrs, Estagold Technical Service Limited after the illegal bidding process as they were believed to have paid through their nose for it. An insider who facilitates the sales of contracts to the highest bidder squealed to our source that this has been the practice of Prof. Dokubo who having become stinkingly rich from the sale of contracts and kickbacks from contractors since his appointment, is poised on taking full advantage of his glorified office to continuously embezzle funds in every way possible.